Many a times people transfer all their assets and property into a trust, such these can benefit them during their lifetime and can later be transferred to another person or their rightful heir after their death. This is a legal procedure and a proper living trust agreement has to be drawn and signed to carry this out. People who are not sure how to draft such an agreement can make use of living trust forms for the purpose. These Will and Trust Forms give them an idea of the format to be followed and the segments to be included in the agreement. As the name suggests, this form is used by a person who wishes to draw a living trust agreement which can be revoked by him at any given time. This form comprises of all the essential clauses that should be included in such an agreement. You may also see Will Forms. When a person wishes to make certain changes to the clauses and terms in the living trust agreement, he can use the aforesaid form for the purpose. This form gives him an idea of how the amendment can be carried out in the legal manner. 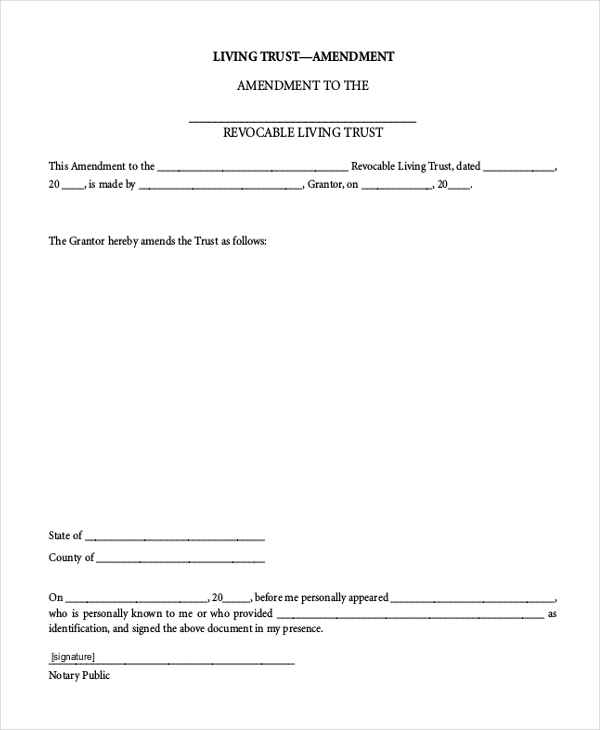 When a person wishes to sign a living trust agreement which cannot be revoked later, he can use this form for the purpose. The form comprises of all the essential clauses and segments that should be included in such a document. You can also see Affidavit of Residency Forms. 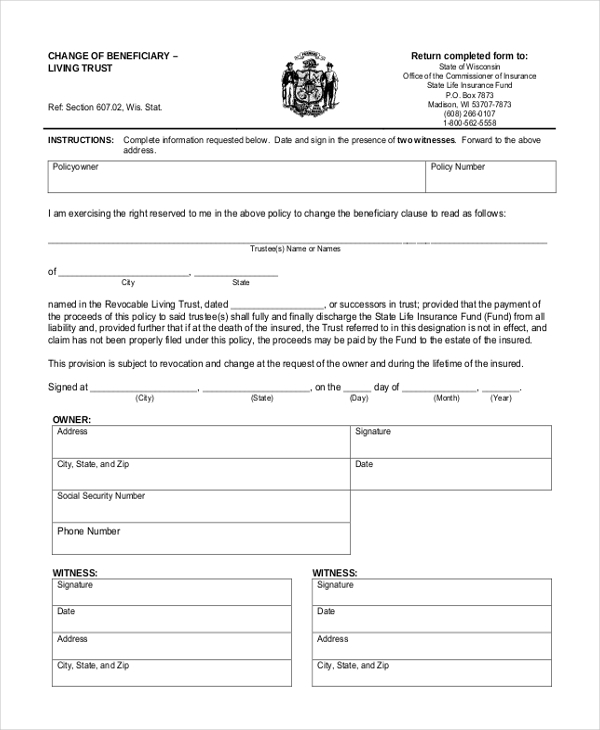 This form is used by a lawyer to collect all the relevant information from a person who may have approached him to draw a living trust agreement. This form contains a number of queries which the person needs to answer. As the name indicates, this form can be used to record all the relevant data of a living trust in an organized manner. It is used to record the name and age of beneficiaries, details of the assets, whom these would be transferred to etc. 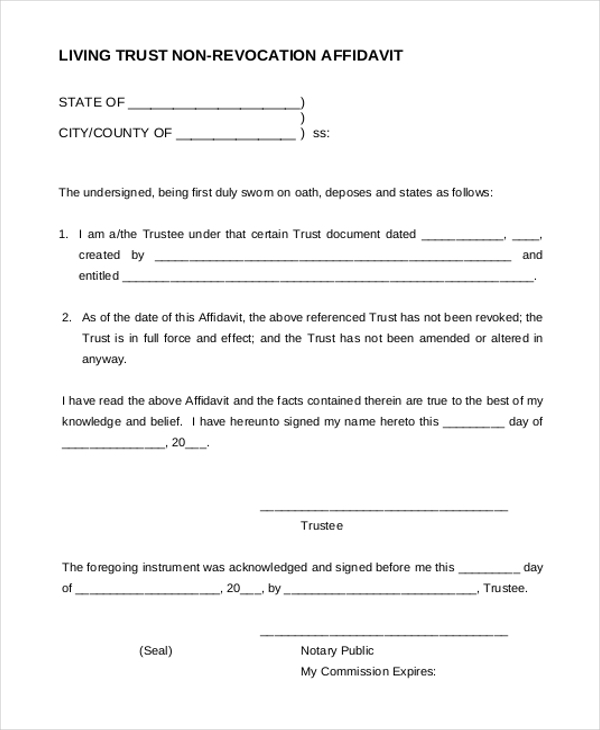 This form can be used by a person to design an affidavit which may be required to prove that a certain living trust has not been revoked. The form comprises of all the essential segments that should be included in such an affidavit. 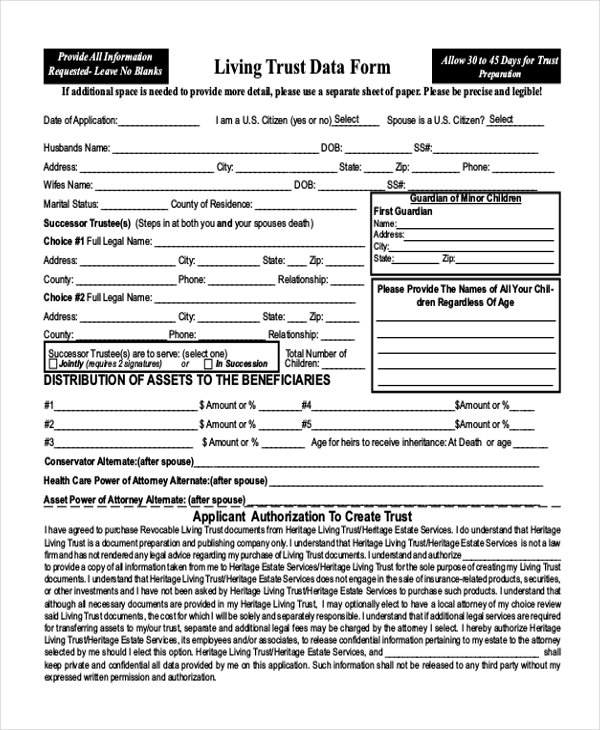 You can also see Sample Small Estate Affidavit Forms. When a person wishes to change a beneficiary of his living trust, he can use the aforesaid form for the purpose. In this form, he needs to mention the name and details of the beneficiary he wishes to change and the details of the new beneficiary. 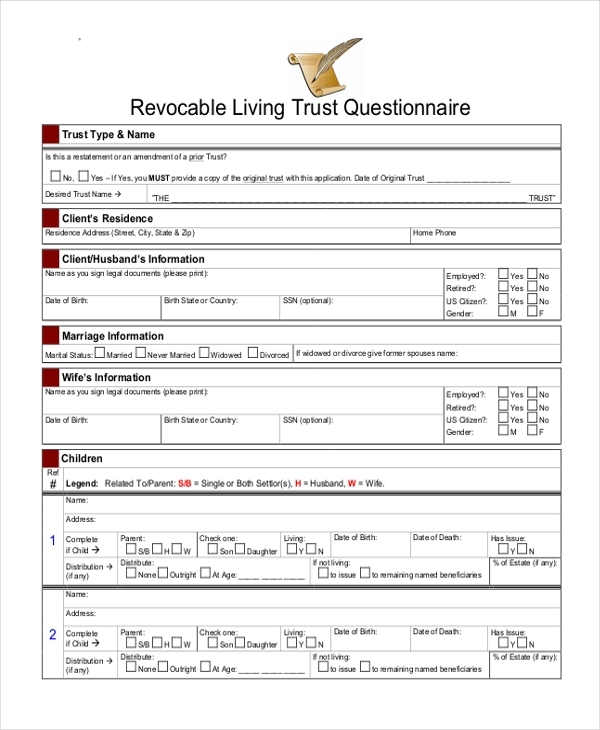 What are The Benefits of Using Living Trust Forms? 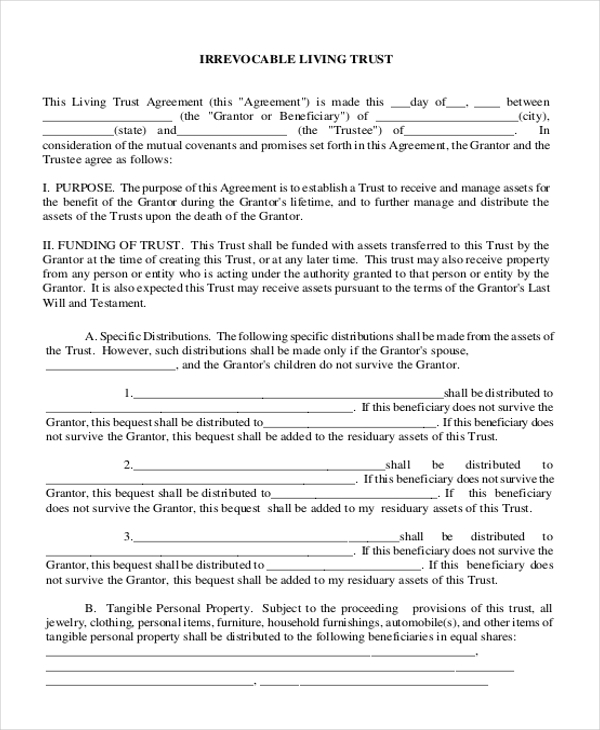 Not sure how to draft a living trust agreement? Get some ideas by checking out our collection of living trust forms and Free Will Forms. With a wide range of forms to choose from, you are sure to find the one that is perfect for you. Download this and then customize it as per your needs. 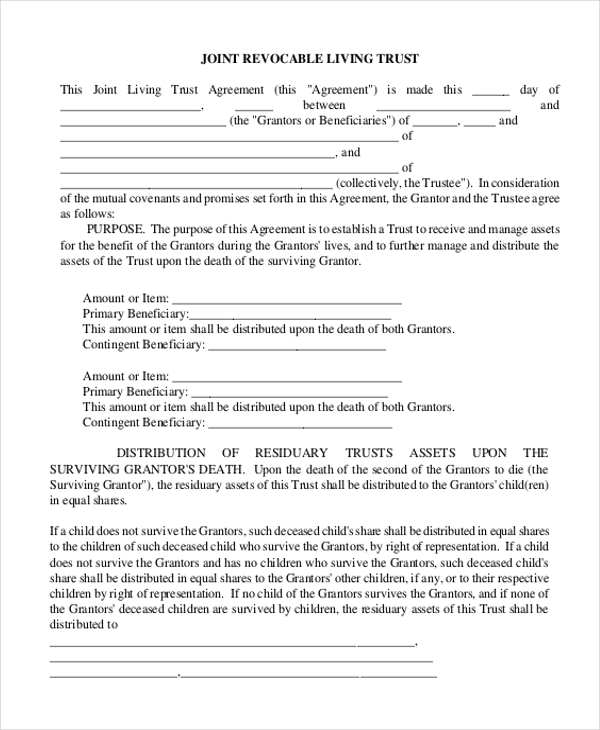 Using these forms helps you to come up with a unique living trust agreement in a jiffy.